Friday night belonged to Cody Chesnutt whose Doug Fir Lounge set was certainly a high water mark for this 5 day music festival. His blend of funk, rock, blues and soul, great songwriting and positive messaging is powerful stuff. Chesnutt is backed by 4 gifted musicians who bring a highly refined musicality to the proceedings. With their virtuoso playing and unabashed showmanship, this band could not be more out of step with the indie rock that dominates this festival. Chesnutt roams the stage, works the crowd, guides the band and is non-stop energy, every gram of it positive. What a show! And the overflow crowd ate it up, following Chesnutt's frequent exhortations to "Sing it Portland" or "Shake it Portland" or "Hey Portland come on and show me what you got!!" And you gotta love the cardigan sweater and military helmet. Chesnutt, an Atlanta native, is a singer-songwriter at heart and a true artist. This is not a funk nostalgia act. He draws on some foundational, ambitious '70's touch points - Curtis Mayfield, Stevie Wonder, late career Marvin Gaye - but he is just as informed by The Roots, the Beatles, and even modern rock sounds. Fantastic show, where a great artist, a first rate band, and a terrific and hyped audience all rose together. Pure magic. On the same stage a bit earlier in the evening, WYMA recent discovery Jessica Hernandez and The Deltas (introduced here) showed why this Detroit band is creating such a buzz. Simply put, she's a star, Hernandez is a tremendous singer with charisma to burn. And her versatile band guides her effortlessly through her updated Detroit rock and soul, featuring guitars, keys and even trombone. Jessica Hernandez and the Deltas played the same club recently, in early July, but even since then the stage show has developed, the confidence gaining from being on the road. We here at WYMA anxiously await the release of their debut record, slated for year end. Here are Jessica Hernandez and the Deltas recently performing "Don't Take My Man to Idaho" which they played near end of set last night and brought down the house. It was remarkable that even though she has no CDs out, no material that anyone would know, and few had seen or heard of her before, the crowd reaction was over the top. This train is leaving the station. We like the Tijuana Panthers around WYMA headquarters. In fact, the Orange County three-piece probably is our favorite kind of cat (link). If you feel similarly, you likely will enjoy this studio performance at BTR studios in NYC, which includes a couple of songs and an interview. We've written about London's Cheatahs before - two of us, in fact (a song, here, and their EP Extended Plays, here). Their swirling, psychedelic guitar-based wall of sound really hit a sweet spot for us at WYMA. They're kind of a fascinating story - from four different countries, they met in London: James Wignall (guitar, vocals) is English, Dean Reid (bass and vocals) is American, Marc Raue (drums) is German and Nathan Hewitt (vocals, guitar) is Canadian. Of course, you know that kids all over the world have listened to Neil Young and Crazy Horse, My Bloody Valentine and the likes, so from disparate backgrounds, they unite over a love of intoxicating guitar rock. It's big, loud and bright - if possible, they have improved on their formula, something along the lines of Dinosaur Jr. meets Swervedriver. They're going to have a full album out early in 2014. Jessica Fleischer is an LA-based singer/songwriter with a light, clear voice and a very well-developed set of pop sensibilities. 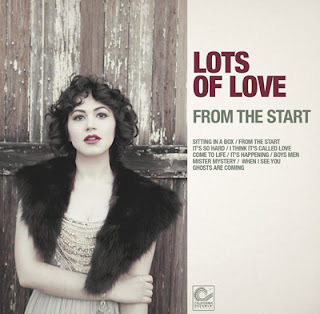 She's just released her debut album, From The Start, under the name Lots of Love. She cites as influences Electric Light Orchestra and 60s girl-groups, and I concur. It's nostalgic and she's got a sweet voice, with some contemporary touches - some reverb on the vocals, and on some of the tracks, particularly on "Sitting In a Box" and "Boys Men", a bit more jangly guitar than either of those two influences she mentioned. She had help on this record from a longtime friend, Robert Schwartzman, of the band Rooney - it was recorded at his home studio. Stream the whole album, and learn more at her website. At these festivals, there's decisions decisions decisions to be made. Do I see the old favorite I've seen many times or go check out a new band? Well I am very glad I stayed out late enough last night to see a band I'd not heard before, Love Language. I can't say enough about how great their set was. As my friend Farnum turned and said to me maybe 3 songs in: "It's great and so rare to see an indie rock band that actually, um, rocks." And yes, Love Language from Chapel Hill, North Carolina rocked the Bunk Bar in Portland Thursday night. It would be hard to describe their sound - 2, sometimes 3 guitars; keyboards; terrific lead singer; excellent use of harmony vocals; steady and aggressive drummer; high energy and sense of urgency; strong compositions with big pop hooks but involved instrumentation. More than anything, they were a true band, a collective with a defined and individual sound. I could hear some elements that sounded like influences, but they were so all over the map that in writing they sound nearly ridiculous - My Morning Jacket, The Shirelles, New Order, The Stooges. Of course our founder and CEO here at WYMA, John Hyland, is always a step ahead of me and reviewed Love Language's latest CD Ruby Red earlier here. Expect The Love Language's new CD Ruby Red to appear in our best of 2013. And they are a tremendous live band who simply killed it last night. On Hungry Ghost Violent Soho serves up meaty slabs of melodic, punk-inflected alternative rock with an ample layer of scuzz. There is a bit of Smashing Pumpkins as a touchstone, but this Brisbane group is more immediate and less studied. Perhaps a better reference are the glory days of The Pixies or Mudhoney. And while the themes reflect anxiety about one's place in the community, what's important and other concerns of young people figuring out their world, the riffs come heavy and fuzzy, the rhythm is propulsive and the pace is aggressive. After listening to this album a number of times, my conclusions are (1) this is the best album of this genre I have heard in a long, long time; and (2) it really is an appealingly intelligent album, musically and lyrically - don't be fooled by the grungy style. Violent Soho deserves to go to the head of its class. 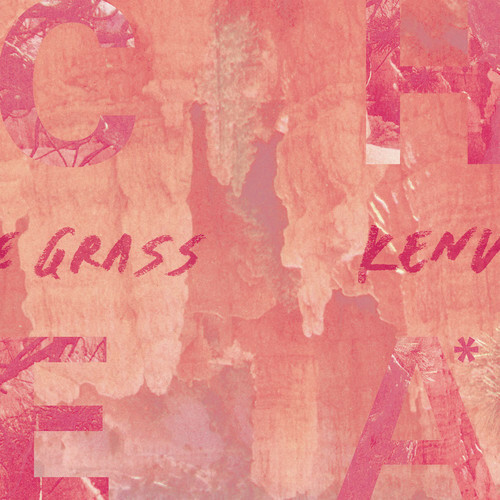 Below are the three singles from Hungry Ghost. The first is presented via the official video. Violent Soho is Luke Boerdam, James Tidswell, Luke Henery and Michael Richards. Hungry Ghost is out now via I Oh You. I recently became aware that Kevin Morby of The Babies (also bassist with Woods) will be releasing a solo LP titled Harlem River via Woodsist in November. If you are like me, you are wondering what it will sound like. Our fist hint comes via the just released track "Miles, Miles, Miles". My view is that if the rest of the album is up to the standard set by this track, we should all want a copy. 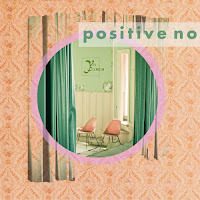 Americana vocals, some '60s organ and upbeat guitar picking combine to beautiful effect. It speaks volumes about Mitch Ryder that he would be featured here at Friday Nuggets and previously in our Soul Corner feature (Oct 2011 for his cover of "Devil With a Blue Dress On"). Ryder was from Hamtramck, the inner city suburb inside the Detroit boundaries. He, more than any artist of the 1960's, absorbed Detroit's rich soul and R&B history and its burgeoning rock'n'roll culture. And Ryder is a truly gifted singer, one of my personal all-time favorite rock vocalists. And he was a powerhouse performer. Ryder had a very big influence on Bruce Springsteeen, Bob Seger, and John Mellencamp (who produced a Ryder album in the 1980's). It's even said that actress Winona Ryder took her stage name from one of his albums, a favorite in her Dad's collection (WYMA doesn't make this stuff up and doesn't even charge extra for this kind of valuable historical knowledge). I never get tired of the track. It's like a party in a bottle, open the top and the energy just leaps out of it. We cover a lot of current, young punk and garage bands here at WYMA but you'd be hard pressed to find something any more high octane rock than "Jenny Take a Ride". And to think it was a top 5 radio single. Now, this is a nice way to treat your fans as they pat their feet waiting for a new album. We've been crazy about Yuck since their first album dropped out of nowhere and delighted indie rock fans with its ethereal vocals, buzzing/chiming guitars and feedback... (WYMA review of their self-titled debut here). You can pre-order the album (and why would you not do that?) at Fat Possum. So here we are in beautiful Portland Oregon where the annual MusicfestNW is in full swing. Think of it as a boutique SXSW -- 17 or so venues, 4-5 bands each per night, manageable crowds and lines. I won't cover everything I see but will instead focus a bit on those acts that were most impressive. And Wednesday night that was certainly Hiss Golden Messenger from Durham NC. Traveling solo without his usual band lineup, Mr. Messenger, if we can call him that, made his first Portland appearance since 2006, with the challenging task of facing a large sit-down theater audience waiting to see Justin Townes Earle in the next slot. I'd been hearing good things about Hiss Golden Messenger for some time from people I trust, but was blown away by both his singing and writing. I suppose his work falls into the realm of folk or singer-songwriter music, but it's tougher and far more soulful than that label might imply. He is a terrific and ambitious writer, and won me over immediately when he cited Wendell Berry as a hero. Aim high brother! And you could hear a pin drop in the 2-level theater from note one until the end of his set as he had the audience in the palm of his hand with his compelling tales of family, adulthood, and well, life. Amazing voice, could have listened to much more than his (Hiss, ha) tremendous 40 minute set (disadvantge of these showcase events). The other highlight was WYMA fovorites The Baseball Project who we've covered extensively (here)in the past. Baseball, jangle rock, wit and this kind of exuberant fun? Sign us up for more please. Steve Wynn and Scott McCaughey now have an addition to their all-star lineup -- Mike Mills from R.E.M., on bass. Mills kicks up the talent level yet another notch. One particular highlight was when Mills took lead vocals on a fine new pop-punk song he wrote urging Dale Murphy's entry into the Hall of Fame. And Linda Pitmon is our favorite drummer. Ever. From anywhere. The band previewed various other new songs they'd just finished recording in Portland for their upcoming 3rd CD. It all sounded great, another highlight being a new one about the challenge of being Bernie Williams all alone out there in center field at Yankee Stadium amidst the monuments to some of the greatest players ever to play the game. Bloodlines is emotion and vulnerability, expressed with fragility and nuance and buoyed by excellent melodies and a dose of R&B rhythms. The artist is Londoner James Mathé, who performs as Barbarossa. Mathé's most recent past incarnation was as an acoustic performer (on Scotland's venerable Fence Collective label), which makes this stylish makeover even more remarkable. The album suggests the culmination of several years of work in this genre, rather than a change in gears. But Mathé was determined to show that he wasn't only a folky singer songwriter. With the assistance of synths, keyboards and drum machines he brushes his poignant stories on a broader canvas. The result is an artful combination of blue-eyed soul and electro-pop. If Mathé's muse continues to lead him down this path, I foresee very good things for the young man. Bloodlines is out now via Memphis Industries. 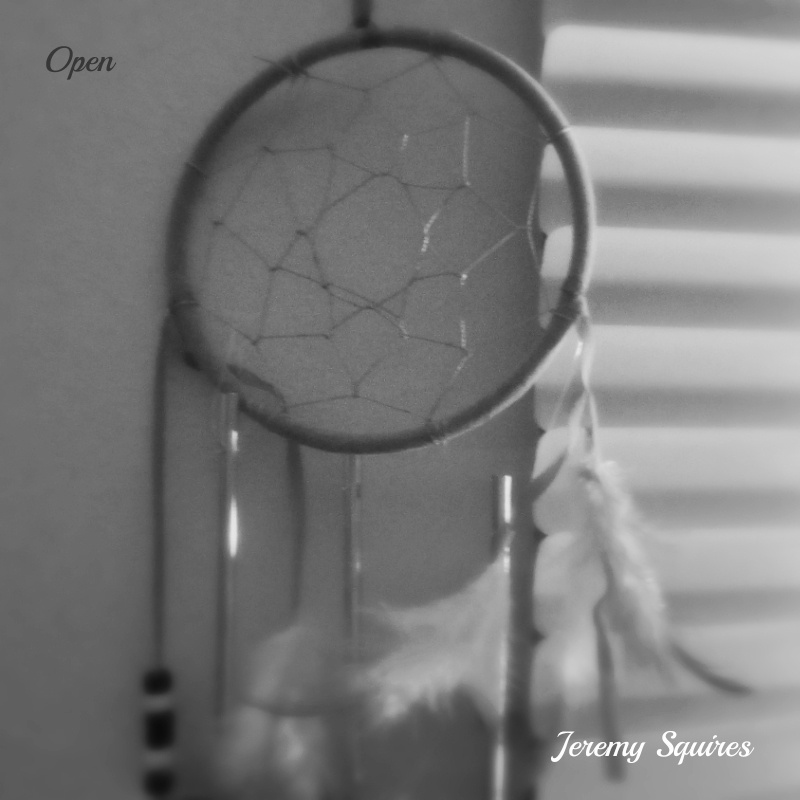 NEW SONG: Jeremy Squires - "Open"
We recently featured a song from North Carolina singer/songwriter Jeremy Squires (WYMA post here), and are delighted to have another spare, beautiful folk ballad from him to share with you. Bit of a story with this one - he discovered the lyrics in the form of a poem by Anna-Lynne Williams, who publishes/records as Lotte Kestner, and thought they deserved to be in a song. So he wrote music and recorded it. This reminds me a bit of Richard Buckner or Damien Jurado in that Squires, like Buckner and Jurado, somehow uses the space between sounds to amplify the effect of his vocals and fingerpicked guitar work. It's beautiful and you need to have this song. He's got an album coming out in October. With the DIY ethos and lo-fi values appropriate to the scuzzy garage rock space, the surfy touches appropriate to a band near the ocean's shore, and the punk attitude ... well, because these guys have good taste, the UK's The Black Tambourines have been one of my favorite garage bands since I was introduced to them a few years ago by a blog in Edinburgh. Until now, I've had to make do with the EPs the band offered over the internet. But their self-titled debut LP hit the streets this week via Art Is Hard Records, so I am a happy, happy man. The focus is adrenaline charged blasts, more like Ty Segall's early Traditional Fools recordings or the excellent Terry Malts than The Mantles or Sonny and the Sunsets. And it isn't that The Black Tambourines can't dial it back (as evidenced by the final track, "Back There Again"), it is that they have chosen to make their case with the gas foot pressed to the floor. Tracks such as "Ghost at a Party" have a more surf rock vibe, with lower-register guitars taking front stage. Others have a punkier feel. But I don't think The Black Tambourines feel the need to showcase versatility at this point; they just want us to know they have arrived. So you can take them or leave them in their noisy glory. 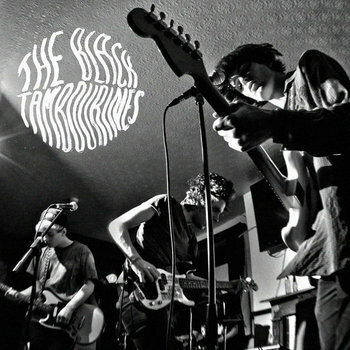 For my money, it is one of the best garage rock debuts of the year. "Ghost at a Party", "Bodies" and "Crosseyed" provide your tasting menu. I recommend the entire meal. 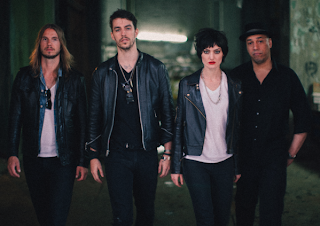 NEW SONGS: The Never Evers - "Cheap Thrills"
The Never Evers from Bedford + Bowery on Vimeo. d bass move things along, and there's some nice surf guitar on there, too. Follow them, learn how to buy the music, and check out upcoming tour dates at their Facebook page. Unwilling to let the summer go? Wouldn't an excellent collection of dream pop be an ideal way of extending it? Well, Shelflife Records, one of our finest purveyors of pop things twee, indie, dreamy and jangling, has just what you need. The Majestic 12 Years collects the entire 1994-1998 output of Southern California's Majestic -- seven tracks from the three 7" recordings and six previously unreleased tracks. 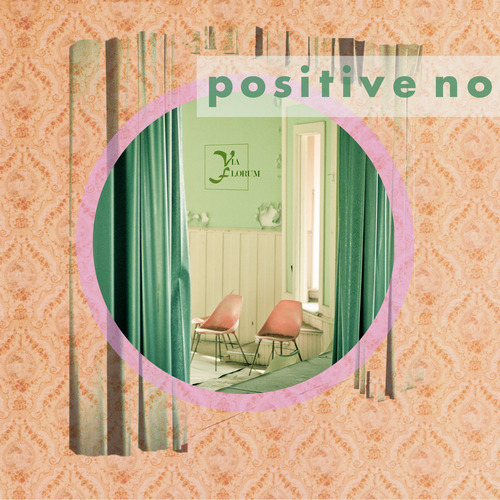 With a layer of guitars that will remind the listener of indie pop legends Galaxie 500, elegant melodies and boy/girl vocals, this album is a great reminder of just how good west coast indie pop was in the years of Britpop and '90s alternative rock. The initial group, known as Majestic 12, consisted of Scott Schultz (vocals/guitar), Jana Wittren Heller (vocals), Ammon Watene (vocals/guitar), Steve Berrett (bass), and Aaron Watene (drums). Jana departed for another project in '97, and the others continued as Majestic and recorded a couple of records for Shelflife. The songs cover a few different styles, but all of it is the sort of timeless pop that seems appropriate for any age and, despite my opening line for this post, any season. I will give you a bit of a warning: This album is packed with ear worms. Not only was it a pleasure to listen to it multiple times while evaluating it for review, I find myself squeezing in a few tracks every day. Majestic 12 - Nothing on TV from RaisingHeller on Vimeo. The Majestic 12 Years is out now on Shelflife Records. If you order the CD, you receive an immediate MP3 download of the album. I am two steps behind right now. 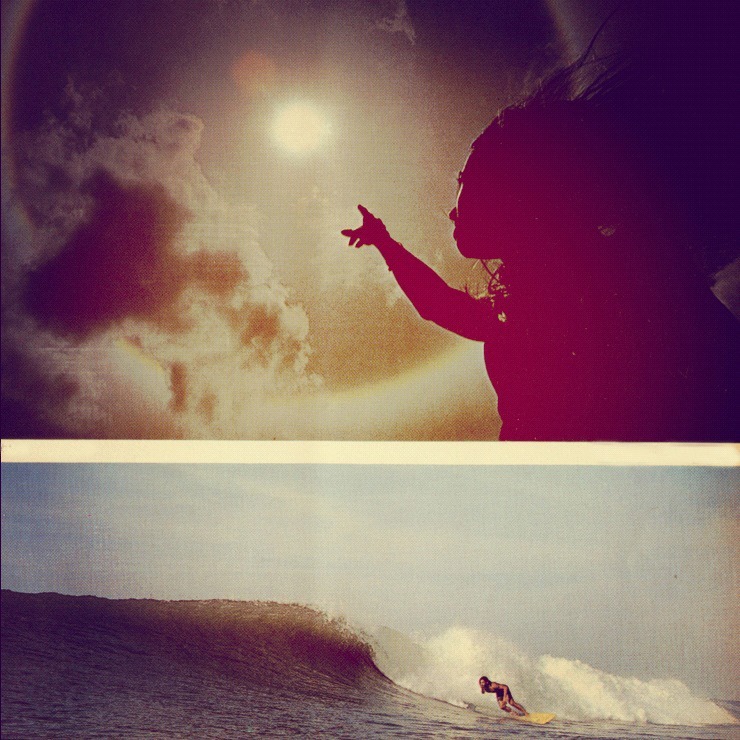 I need to post another gem of a playlist from the Allah-Las before my plaint is "Gimme three steps." When it comes to quality obscurati, a week late is better than never. Last week's selections are a pastiche of music styles; starting with early 80's Guyanese-American funk - a genre heard by very few. Next on the list is a selection from The Godz - gonzo contemporaries of The Fugs and The Holy Modal Rounders. The genesis of this 60's group of beat refugees was described by one of the founders as: "One day Paul came over to visit them, and the three gathered in Larry's living room to smoke a joint. There were all these percussive instruments lying around and out of total frustration, I got up and started shaking a tambourine or something like that, and that's how it all started. We all started to get up and make noise like a bunch of maniacs, expressing our frustration." The flashback continues with an early 70's psychedelic gem from Milwaukee proto-punks The Creme Soda and early 70's acid-folk from Santa Barbara's Cooley-Munson. The Savages - a 60's Bermudan tourist hotel band - show that garage rock flourished between the continents. Jeff Harmon's Lakeside CA music has been described as having an "odd basement McCartney vibe, with some spacey keyboards and Christian/seeker overtones." Not a review which would have sent me out to buy it 40 years ago, but it is definitely worth the listen. They continued to be exemplars of of psychedelic garage rock with "Some Other Drum." The week's list closes with more acid folk from Bill Jerpe. Jerpe is an example of "loner folk," a genre which should not be listened to while one is depressed, drunk and has easy access to razor blades. Fly your freak flag and enjoy this flashback. As it was once explained to me in a parallel universe by an acid survivor long ago, "Flashbacks are great. They're free." This first track sets the expectations pretty high - looking forward to hearing the rest of this EP, which will be out digitally Oct. 1 and on vinyl in November. You can pre-order the vinyl at Little Black Records. The trouble with writing about Bob Dylan is that his music is complex, cuts deep, and the context is always voluminous. One should write books on it, not blog pieces. So excuse me for writing briefly and in many ways merely on the surface. 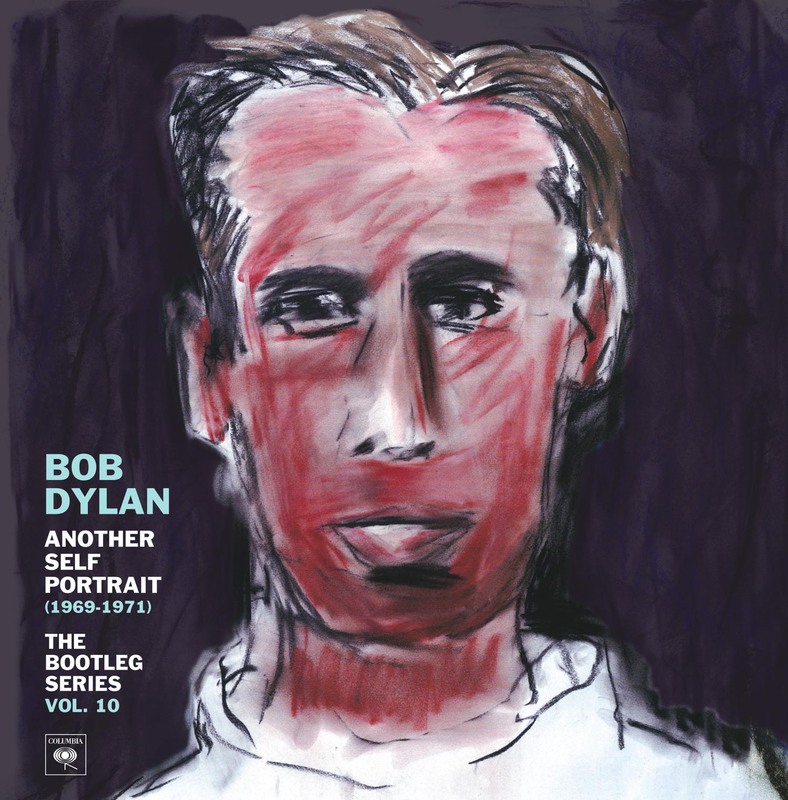 But, here's my simple thesis: any Dylan fan, even a somewhat casual one, needs to own the latest in the terrific Bootleg Series, this being volume 10. The 2 CD set includes 45 songs, some unreleased and some earlier versions of songs that appeared on Self Portrait and New Morning. There is also a deluxe 4 CD set with a complete live concert and more. I'm still digesting and digging through it all, but my oh my, what a treasure trove of heartfelt, beautiful performances. Self Portrait was famously vilified when it was released in 1970, the rock music critics and mass public annoyed that their hero had made a disjointed record mainly of obscure covers, and containing none of the soaring rock'n'roll that had transformed the music world. But time is a funny thing. These unreleased tracks, which extend what Dylan was doing on Self Portrait, would not have been well received in 1970 either, but right now they make perfect sense. Dylan's folk and blues roots have been on display for many parts of his storied career. So the Self Portrait retreat, if we can call it that, no longer seems bizarre, and certainly not infuriating (as many found it in 1970), but more like a smart move, a survival instinct kicking in. This is exactly the step back, the self-preservation instinct, that maybe Kurt Cobain or Janis Joplin could have used. Stoking the star maker machinery is not easy, nor is having young kids and trying to raise them in the midst of it. So if people felt let down by Self Portrait, too damn bad. It's not like it erased Blonde on Blonde;or people still couldn't go listen to any of his previous records whenever they wanted. I love Dylan's love songs and find them generally vastly underrated and taken for granted. The singing on "Pretty Saro" is exquisite. And while many of these songs appear to be recorded casually and are unadorned, the vocals sure as hell were not tossed off. Dylan's singing is terrific throughout. Highlights - "Thirsty Boots" (written by Eric Andersen); "Spanish is the Loving Tongue"; "These Hands"; alternate and in my view superior versions of "Went to See the Gypsy" and "Copper Kettle"; and fine early versions of two of my all time favorites "When I Paint My Masterpiece" and, speaking of great love songs, "If Not For You". For at least awhile, you can stream the music at NPR's site: NPR First Listen. Or here at Bob Dylan's official web page (a very well constructed site if you've not visited there before). 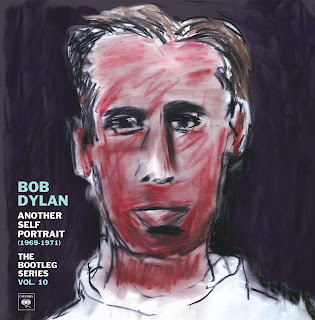 Overall, I find Another Self Portrait a deeply rewarding glimpse into Dylan's artistry and what makes him tick, the music he makes when no one is listening. I am so happy to be able to hear this. I am still taking it in, but want to get this up on our blog as quickly as possible so you can do yourself a favor and get to the store now. Dylan fans need to own Another Self Portrait. 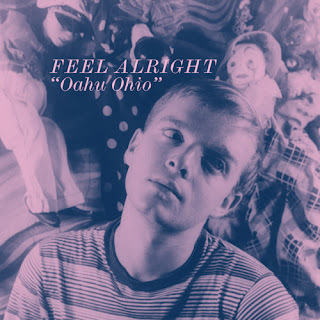 NEW SONGS: Feel Alright - "Oahu Ohio" 7"
Feel Alright is another Canadian band from Mammoth Cave Recordings (we recently featured Gold from the same label). Based on these two artists, Mammoth Cave has struck a productive lo-fi beachy, punky vein. This stuff is just instantly, completely enjoyable, with the reverb, the upbeat guitar line, and on the title cut, "Oahu Ohio", the slightly cracked falsetto vocal in the chorus. And here's "L'esprit de l'escalier" - with a super-catchy, fast, lighter-than-air guitar line that leads into a noisy chorus and another great falsetto vocal and, finally, a crashing finish - all in 1:46. Finally, "Dark Incantations", with a definite Beach Boys vibe, but with, as its title might suggest, a dark side that only makes sense, as these kids likely got into punk rock before they even heard the Beach Boys (I'm just guessing). I love the drumming on this one. Well done, kids, and well done, Mammoth Cave. This thing will literally extend your summer, even if only for a few days... It's out now (vinyl released Aug. 30) and you can download for "name your price" or buy vinyl at Mammoth Cave. 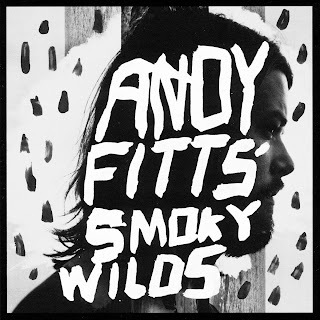 Andy Fitts is a Seattle-based singer/songwriter with an already-successful career as a studio musician and collaborator with some very successful artists. However, like a lot of very creative, talented musicians, he's got music of his own to get out. And fortunately for us, on Smoky Wilds, he found a way to get it out there. Fitts has played with David Bazan and cites him as an inspiration - and I find a lot of similarities between the two. His vocal style reminds me of Bazan's, though his voice is a little bit "sweeter", perhaps. And he undergirds his music with more electronic stuff, but all to great effect. And it's certainly not all electronic - there are some very warm acoustic moments. "Father Time" is a pretty, acoustic ballad. And the guitar over the last minute or so of "Mean is a Bone", and at the beginning of "Yarn Tale" are well-played and well-placed. The latter turns into a quiet, ambient, really beautiful song to close out the record. An understated electric guitar solo, then a sort of minor electric guitar freakout in "My Axe" are highlights, too. But his sweet spot is using his skill with electronics to create rich soundscapes in which to place his soulful, warm, affecting vocals. Fitts gives some background on his approach and state of mind in making the record: "These songs are ideas that help me close the gap between the life that I want and the one that I am living... Stop envying everyone else's position and assuming that it is supremely desirable. This causes you to sink. Work through the sweet and the salty and the smooth and rough. Make deposits, and carry on. Bazan's work ethic has been a tremendous inspiration, especially as many of his peers have gone on to be hugely successful. He maintains his dedication to what he can uniquely bring." There's a fundamental honesty and self-examination to that approach that is refreshing and, I think, leads to very satisfying music. It certainly has in this case. Smoky Wilds is highly recommended if you like Fitts' label mates David Bazan and Will Johnson (Centro-matic), or some of our other alt-folk favorites, Damien Jurado, Richard Buckner and Phosphorescent. It's a charming record that stays with you. It's out today (Sept. 3) on Undertow Records. Probably the best album of 2011 that I didn't discover until 2013 was Royal Headache's self-titled release for R.I.P. Society Records (link). I resolved to not be so tardy on their next release, so here is Stand and Stare/Give it All to Me. In two songs Law, Shogun, Joe and Shortty demonstrate why they are one of the best punky garage bands around. The first track sounds to me to be a garage rock anthem, while the second is a 1:46 rush of punk excellence. For a mere two Australian dollars, you get an immediate download, and your life will be less boring. Consider them angels of mercy.